Do you intend to move to Queen’s Park or to the surrounding areas? Or you are looking to move out of the area? If you have answered yes to any of the aforementioned, then property clearance is going to be something on your mind. However, as many will know, Queen’s Park rubbish clearance isn’t something you can do alone and you will need help. Professional waste disposal NW6 help used to be hard to come by, but thankfully, that is no longer the case. Handy Rubbish have been the number one name in the area, when it comes to waste clearance, and have become a valuable part of the local NW10 community to boot. 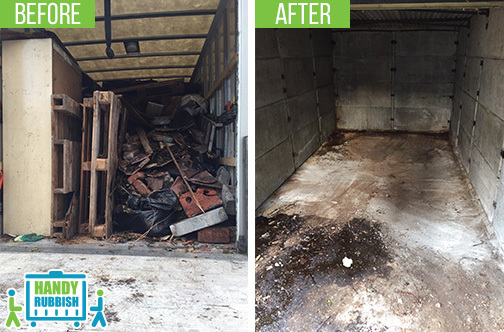 If you are on the lookout for reliable NW6 waste clearance services, then look no further than us. Don’t think you need to stress about house clearance ever again, as we are only ever a phone call away. Speak to us today on 020 3540 8282 or send us an email, then one of our team members will be happy to provide you with a free no obligation quote for all waste removal NW6 services. Are You On the Lookout for Reliable Rubbish Clearance NW6 Company? Queen’s Park qualifies as one of London’s younger districts, but that doesn’t make it an area any less prominence in the capital’s make-up. A writer’s and poet’s favourite, Queen’s Park offers something that other areas of London don’t, a classic style of living with an undoubted modern twist. If you are planning on moving into the area, or are simply moving into a new property within the area, then furniture clearance will be on your mind. Here at Handy Rubbish we get that waste collection Queen’s Park is a truly specialist task. 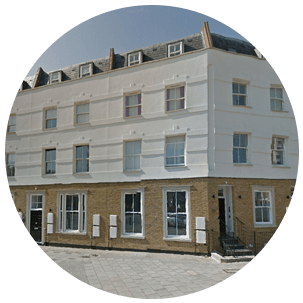 When you hire our experienced team, we will use the very best in moving apparatus, to make sure that our Queen’s Park, NW6 rubbish disposal is handled properly and doesn’t damage your property. After removing such from your property, we will break the furniture down and dispose of it in a safe and economical manner. Don’t let a cowboy loose in your home when it comes to rubbish removal in NW6, stay safe and stick with the professionals. You can speak to our team today by calling 020 3540 8282, dropping by our offices, or sending us an email. Either way, we will provide you with a free no obligation junk removal quote and show you just why we are the very best value in the area. I needed a rubbish clearance service local to Queens Park coz I wanted to save some cash. A team came to NW6 and collected my trash in a jiffy. The job was as easy as pie! Will recommend them! Queen’s Park is an area of North London and much like neighbouring Kilburn, was developed by Solomon Barnett. Constructed almost solely with a residential purpose in mind, Queen’s Park is a home to countless two-storied terraced houses. Many of these houses in the area, that are two-story, were developed in the late 19th and early 20th Century. However, the houses to the west of the region tend to have more of a gothic look and many of the roads are named after famous poets and female friends of Barnett, including Torbay, Tiverton, and Tennyson. Victorians were the first true inhabitants of the area and since its beginning it has become a very popular area, even if it was once declared an area not suitable for social housing, back in the 1970s due to the rent prices. 2014 Queen’s Park brings plenty of shopping amenities to London including some of the most high-class bakeries, butchers, and green grocers in the capital. If you are someone who likes a touch of classic living, then there is no doubt that Queen’s Park is an area that has plenty to offer you.